While charges for LASIK procedures vary widely by practice and region, the average cost of LASIK is between $1,500 to $3,000 per eye depending on the type of the procedure, surgeon and region of the country. Often extremely low prices of $399 or $695 are very unrealistic and considered bait and switch pricing. These misleading pricing models significantly increase the cost based on your prescription or astigmatism. In addition, extremely low prices may not factor in enhancements or post-operative visits which are typically the following day after surgery, 1 week, 1 month and 3 months post-operative care. 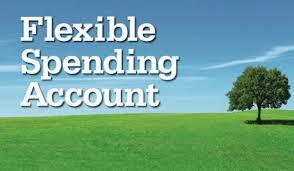 Plus, you need to know the details of the retreatment & enhancement plan you are being offered and their limitations. 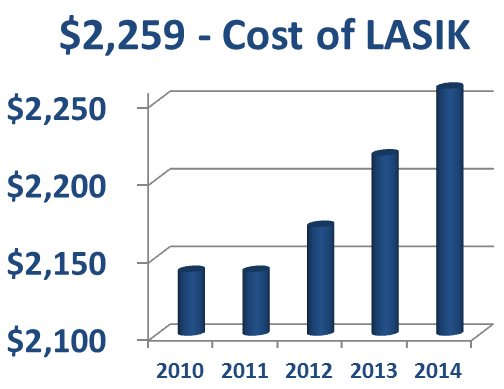 The overall national average price for LASIK has increased slightly over the last decade. The adoption of new state-of-the-art technologies such as “all laser LASIK”, also referred to as IntraLase, adds a cost of several hundred dollars per eye. Also, roughly 50% of surgeons performing LASIK offer only a “one price model”. How much is LASIK for surgeons who offer a single price? The reported national average for LASIK pricing in 2017 was $2,259 per eye. This one price model is cited as a haggle-free method of pricing laser vision correction services. Where you live in the United States determines the cost of many products we use on a daily basis. Depending on the part of the country you live in, rent, gas and basic services vary significantly and it also influences how much LASIK costs. 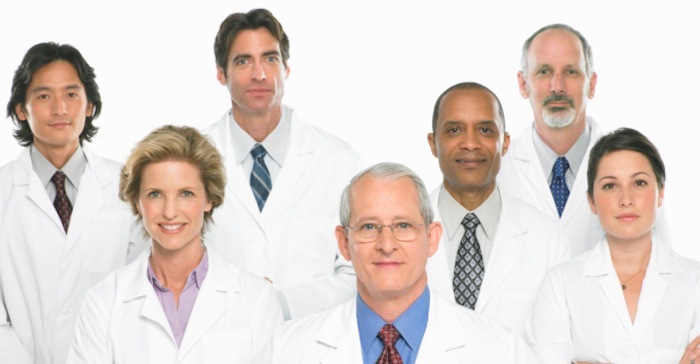 Laser eye surgeons in very large metropolitan cities (i.e. New York City, Boston, Los Angeles and Chicago) typically charge more for Laser eye surgery prices. The technology used to perform the surgery and the surgeon’s experience will also factor in to how much you pay for LASIK. Experienced LASIK eye surgeons cost more than the doctors with only several hundred procedures performed. However, a more experienced surgeon does not guarantee safer, more accurate results. 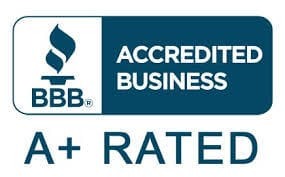 To participate as a LASIK surgeon in QualSight’s network of Ophthalmologists, a doctor must be NCQA credentialed and their entire work history is reviewed including mal-practice insurance, state license and certifications. QualSight LASIK surgeons specialize in LASIK and collectively have performed more than 7 million procedures. How Much is Custom Wavefront LASIK & Why Does it Cost More? The newer Custom Wavefront LASIK technology is groundbreaking because it has the potential to improve not only how much you can see (visual acuity measured by the standard 20/20 eye chart), but also how well you can see in terms of contrast sensitivity and fine detail. This translates into a reduced risk of post-LASIK complications, such as glare, halos, and difficulty with night vision. How much you see depends on vision defects known as lower-order aberrations associated with common refractive errors. Adapted from technology that allows land-based telescopes to produce images comparable to those generated by the Hubble Space Telescope, Wavefront LASIK consists of a sensor and a laser. All of these visual irregularities are then displayed as a 3-D map, referred to as a Wavefront map. This information is then electronically transferred to the laser, and a computer is matched to the eye's position, enabling the surgeon to customize the procedure to your unique visual requirements. The research and development costs to provide better technology do come at a cost. In the case of Custom Wavefront LASIK you can expect to pay around $1,900 to $2,400 per eye with most surgeons; however, at QualSight LASIK we have set pricing and Custom Wavefront typically costs less than $1,400 per eye. How Much is Bladeless LASIK – Why Does it Cost More? Bladeless LASIK is considered to be the premium type of LASIK because it utilizes the latest technological advancement in lasers known as the femtosecond laser. Bladeless LASIK, also known as I-LASIK or all-laser LASIK differs from other LASIK surgeries because the flap is created using a laser as opposed to a manual blade. It typically has fewer risks and complications than other types of LASIK. With Bladeless, people with thin corneas who once were unsuitable for LASIK may now be candidates due its precision, and its ability to consistently produce corneal flaps thin enough to treat patients who were previously not candidates. With the help of the computer technology, the surgeon is able to create a tiny flap in the patient’s cornea. With the control of the computer, the femtosecond laser operates at extremely high speeds, allowing tissue to be targeted and divided at the molecular level without heat or impact to surrounding tissue. The Bladeless laser results in a corneal flap that is created in a much more precise manner than the traditional microkeratome blade. Hence, it costs more. Do you participate with the QualSight LASIK network? What is included in my LASIK cost? Do you provide a quote and does it expire? Does the price of LASIK change with new technology? Is the cost of medications included in the price? Are my post-operative exams included in the total price? Does my optometrist receive a referral fee? 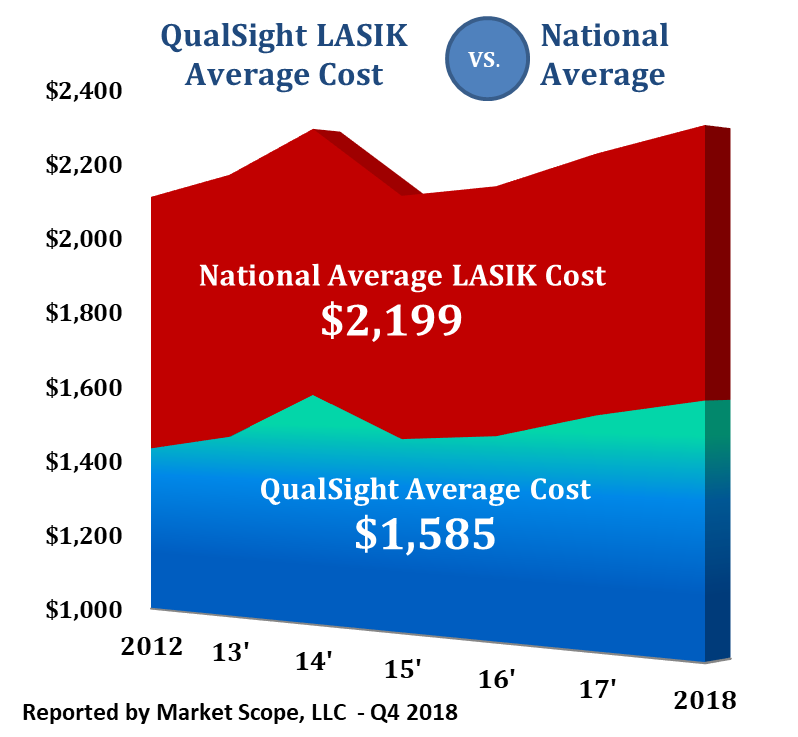 LASIK Cost - How Much is LASIK with QualSight? At QualSight, you can expect to pay less. Our prices start at less than $995 per eye for Traditional LASIK and are all-inclusive. The total price covers the following: your initial pre-operative screening, the LASIK with a one year retreatment plan, as well as all post-operative visits. By using QualSight, there are no hidden LASIK costs or undisclosed fees. 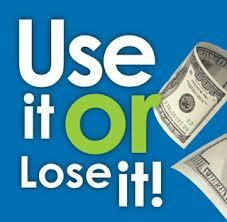 Plus, our low cost of LASIK never increases based on your prescription or astigmatism. QualSight has set contracted pricing with experienced and quality doctors across the USA, therefore we significantly save our members money compared to the national average LASIK eye surgery costs.